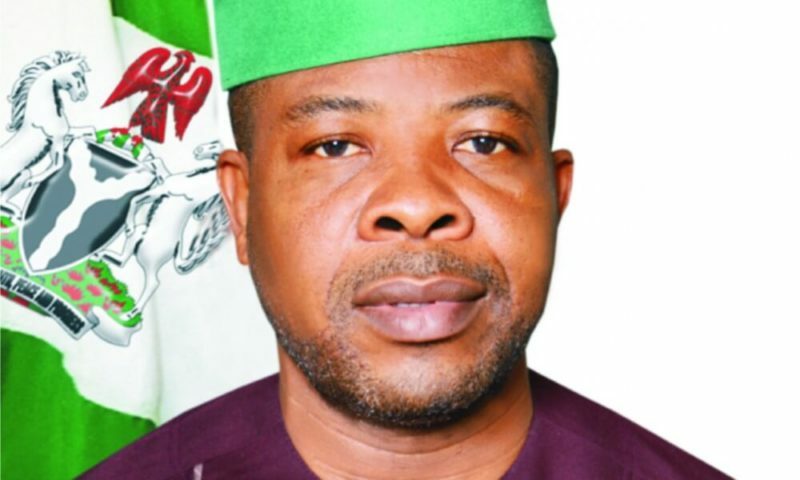 Minus the fact that the incoming governor of Imo state, Hon Emeka Ihedioha, will face the Herculean task of rebuilding its descript social and political infrastructure, no thanks to the eight years of mis-governance by the outgoing Rochas Okorocha, his real headache will be how to even start. His immediate difficulty will be how to please the numerous leaders of his party, each of whom would like to get maximum attention from him. For a party that has been out of power for eight years, after having it earlier for twelve years, it needs no exaggeration to state that the party leaders will be falling on each other over who will be adjudged the closest person to the (would-be) governor; given, especially, that the prevalent economic conditions in the country has made independent livelihood almost impossible for “professional” politicians. If We Add To This The Fact That Hon. Ihedioha Is Seen By Many As One Who Does Not Go Out Of His Way To Please Others, It Is Easy To Imagine That His First Challenge Will Be How To Repudiate This Notion, Against The Backdrop Of An Avalanche Of Rent Seekers That Will Besiege Him And His Administration. Already, Some Of The More Visible Leaders Of The Party Have Given Signals That They Have No Intentions To Be Outsmarted In The Struggle For Ihedioha’s Attention. One Of Them Is A Former Governor Of The State, His Excellency, Chief Achike Udenwa. How Did I Know? Even a cursory reading of a recent interview the former governor gave to a national daily would reveal that that is exactly the point he wanted to make through that medium. Although Governor Udenwa spoke on other issues, it was not difficult to discover that the thrust of the interview was to sound a note of warning to his successor, His Excellency, Dr Ikedi Ohakim, to stay clear of Ihedioha. Agreed, Udenwa, perhaps like a few other leaders of the party, may not be very pleased with Dr Ohakim for abandoning the party, as it were, but verily, the immediate prompter of the attack on the latter was his early congratulatory message to Chief Ihedioha even before he was finally declared winner. Ohakim’s moves must have jolted and angered Udenwa who would most probably have read it to mean an attempt to hijack Ihedioha and his administration. As far as I am concerned, Chief Udenwa’s comments on Dr Ohakim were premeditated and calculated to paint the latter in bad light. Obviously, the slant of his response to the question that preceded the attack was too loaded to leave even the least discerning reader with no other option than to conclude that there was an ambush for Ohakim. Chief Udenwa had been asked by his interviewer to comment on the apparent similarity between the euphoria that greeted the emergence of Rochas Okorocha in 2011 and that of Emeka Ihedioha in 2019. And this is what the former governor had to say: “To be honest with you, if you remembers how Ohakim came into power when I was leaving, he was not actually the people’s choice. He was a child of circumstances at the time. There were other considerations before Ohakim came in. It was a question of let us try him and see what he can do and he failed completely. He was very arrogant and did not even understand what people needed. That is why he has been contesting and failing. He cannot make it even he contest 10 times. And is the case of Roachas, he came as a redeemer because of the poor performance of Ohakim…”. Clearly, only a person that was waiting to launch this type of attack would respond the way Udenwa did. The response portrayed Udenwa as jittery, angry and panicky; and that he was just looking for an opportunity to get even with Ohakim. His resort to the history of how Ohakim came into office more than ten years ago is a clear testimony that he is still bitter that Ohakim was elected despite his stiff opposition to the decision by other well-meaning PDP leaders in the state to back his candidacy even as a flag bearer of an entirely different party. In the interview under reference, Governor Udenwa inadvertently reminded the good people of the state that it was his failure to fashion out an orderly succession plan that is at the root of the current social and political disharmony, rancor and bitter antagonism in the state. The “circumstances” he was referring to was precisely the confusion that followed his equivocated and compromised stance on who succeeded him and from which part (zone) of the state. It was common knowledge that Governor Udenwa was supporting three aspirants for the office of the governor at the same time: Hope Uzodinma from the same Orlu zone with him; Martin Agbaso from Owerri zone and Ike Ibe from Okigwe zone. 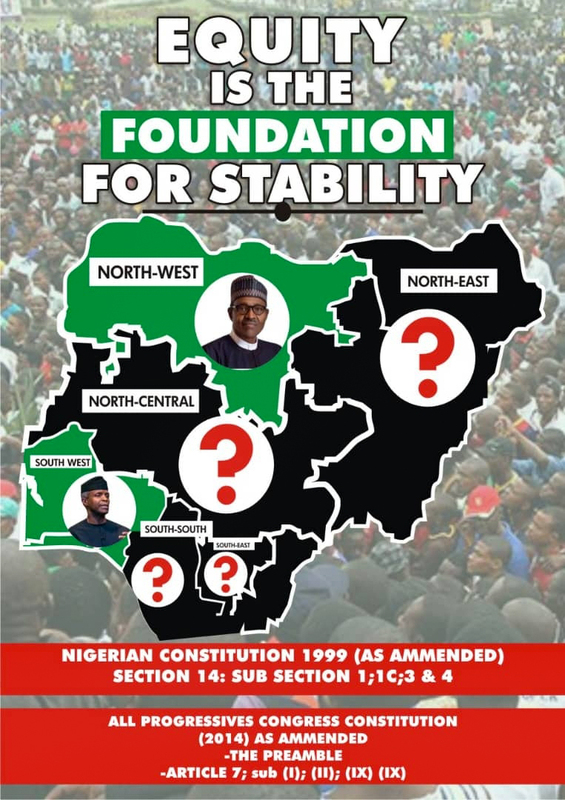 Even if he did not see any wisdom in the agitation for both Okigwe and Owerri zones to have the office ceded to either of them, in accordance to an existing Charter of Equity, it was the height to perfidy, insincerity and obtuseness for a governor to support, no matter how secretly, three aspirants at a time. As a matter of fact, it was his insincerity that led to the stalemated primaries in the PDP and which ultimately resulted in the loss of the state by the party which he led for eight years. 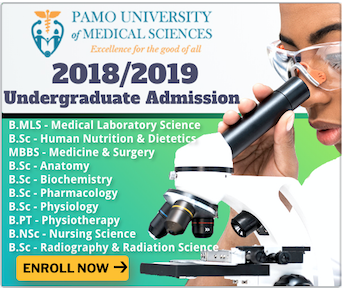 Of course, the bitter antagonisms that followed transcended the PDP, to permeate the entire Imo polity and that has subsided till today. Put a different language, nobody needs a soothsayer to know that Udenwa is haunted by that failure to provide leadership for the people when they most needed it. If we add this to the fact that his eight-year administration had no concrete achievements to point to – save a Secretariat that was built far below standard – it is easy to see why he is today a near-recluse, devoid of any aura and presence in the public. Now, take his allusion to Ohakim’s arrogance. In the first place, apart from that alluding to someone else as arrogant is an admission of inferiority complex, it is an alibi by people who do not have guts enough to match that of those they so accuse. Moreover, it is a language that is completely unbecoming of a person of the status of an ex-governor even one that was as ordinary as Udenwa. On the contrary, the truth is that the highly discerning people of Imo state have since discovered that what Udenwa and his ilk refer to “arrogance” on the part of Ohakim is no more than the fact that the latter has guts and that low thinkers (like Udenwa) always try to bring such people (with guts) down. Personally, I find the charge of arrogance against Ohakim completely had to locate, outside the fact that as governor, young men like me loved his dressing sense; unlike Governor Udenwa who wore only one pair of (brown) shoes and a worn-out red cap. If nothing else, many of us saw in Ohakim’s urbanity as representing a better role model than the drab appearance of his predecessor. Then, witness the obviously cheap and pedestrian allusion to Ohakim’s “contesting and failing…. Even if he contests for ten times”. It is the type of vitriolic that can only be associated with a young critic that is just learning the ropes, certainly not an ex-governor. As far as I am concerned, it is in this part of his response that Udenwa betrayed his envy, hatred and animosity to Ohakim. Finally, let us briefly interrogate the last part of Udenwa response, namely that Okorocha “came as a redeemer because of the poor performance of Ohakim”. Now, assuming, without conceding, that that claim is true, the question to ask Udenwa is, did Okoroacha perform better than Ohakim? This question is more so given that it is common knowledge that Udenwa was the chief architect of Okorocha’s emergence as governor in 2011. Yes, there had begun a plot to prevent Ohakim’s re-election – of which Udenwa was also one of the chief plotters – but a replacement was not certain until Udenwa took over the job. He dumped Senator Ifeanyi Araraume with whom he had been in the Action Congress of Nigeria (ACN) and who was its governorship candidate. Perhaps unknown to many, the final agreement to bring Okorocha onboard was signed in Udenwa’s country home at Amaifeke, Orlu a few days to the April 26, 2011 governorship election. Thus, apart from his ‘bosom’ friend and political ally, Araraume, Udenwa effectively betrayed the entire people of Imo state because the least that they (Imolites) had expected at that point was for the office of governor to return to Orlu after Udenwa’s eight years. Needless to say, it was Udenwa who presided over the final session where the state was sentenced to the protracted inter zonal and intersectional rancor that has characterized the state since 2011. As for the issue of who, between Okorocha – Udenwa’s mentee – and Ohakim performed better, the answer is there for all to see. For, on top of the perfidy of extremely poorly executed projects on the state’s infrastructure like roads and buildings, Okorocha brought to the people the insult of wanting to impose his son-in-law on the state as his successor. In a bid to achieve that, he squandered the collective wealth of the people on a project he knew that would make the state the laughing stock before the rest of the civilized world. Worse, he ‘bribed’ the people with their own money; what we call Orikor in my native parlance. Recently, I came across a news report in which a traditional ruler in the state was suggesting that the state should perform a ritual to prevent the ugly consequences that usually follow when a person or a people profit from money stolen from them! Judging from the result of the just-concluded governorship election, it is there for all to see that left for people like Udenwa, Okorocha would have well succeeded in his plot. It is on recorded that his son-in-law’s party, the Action Alliance, won with very good margins in Orlu zone where he claims to be the leader. In Orlu local government area where Udenwa’s comes from, AA defeated the closet contestant with over 5000 votes. The PDP, whose victory he now want to appropriate, did not even come a second position. My advice to the ex-governor is that he should desist from his current posturing of wanting to be seen to have installed a governor. He could not install one when he was in a position to do so to say nothing of now when he has become almost completely irrelevant in the scheme of things both in the state and the country as a whole. His recent outburst on Ohakim is uncalled for and if the incoming governor believes that he has a trustworthy ally in Udenwa, then I wish him luck.